New England Science & Sailing Foundation (NESS), a non-profit ocean adventure education organization in Stonington, CT, has appointed Jane Leipold to its Board of Directors. Leipold is an accomplished global executive with well over 30 years of business experience in engineering, operations, and human resources. Over the past ten years, she served as Senior Vice President and Chief Human Resources Officer for TE Connectivity, a $13 billion global technology leader. Leipold holds a B.S. in Quantitative Business Analysis and an MBA from Pennsylvania State University and was recently named an Alumni Fellow by the Penn State Alumni Association. “Jane’s deep interest in education, especially around STEM (science, technology, engineering & math) programing will help us drive our year-round curriculum forward with our school partners,” added Spike Lobdell, NESS’s President & CEO. “This is a very exciting time in our evolution. 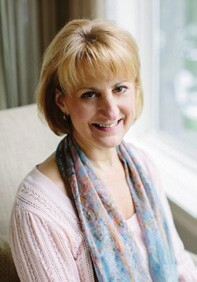 I am so pleased to welcome Jane to the team.” For more information, visit nessf.org.